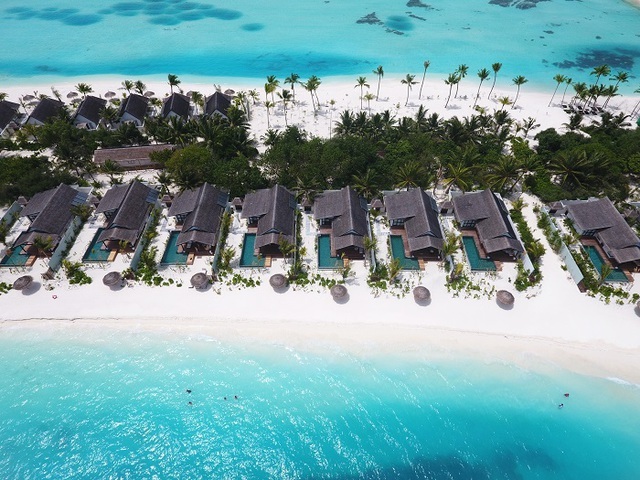 Opened in July 2016, OZEN is the next offering from Atmosphere in the Maldives, and a step up from the preceding Atmosphere Kanifushi and OBLU at Helengeli resorts. The island is a long, narrow strip on the Eastern rim of the South Male Atoll. Like most of its Male neighbours, there’s no house reef straight off the beach, but twice-daily complimentary trips should provide a sufficient snorkelling fix for most of OZEN’s guests. 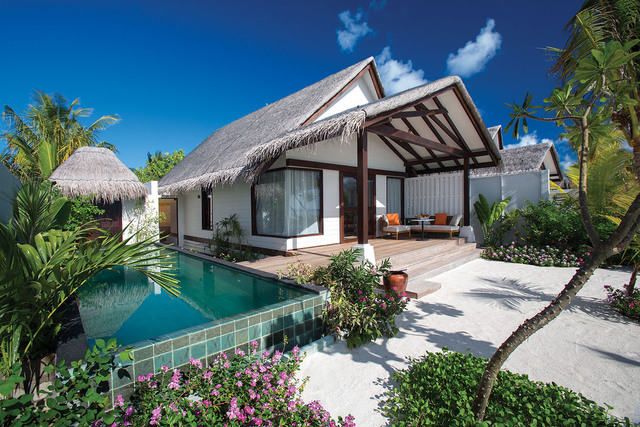 Both Beach (‘Earth’) and Water (‘Wind’) Villas are spacious (Wind Villa decks could be bigger) and comfortable, without necessarily reaching the refined luxury of the very top-end resorts, and come with or without an attractive pool, those with a pool all being on the sunset side. 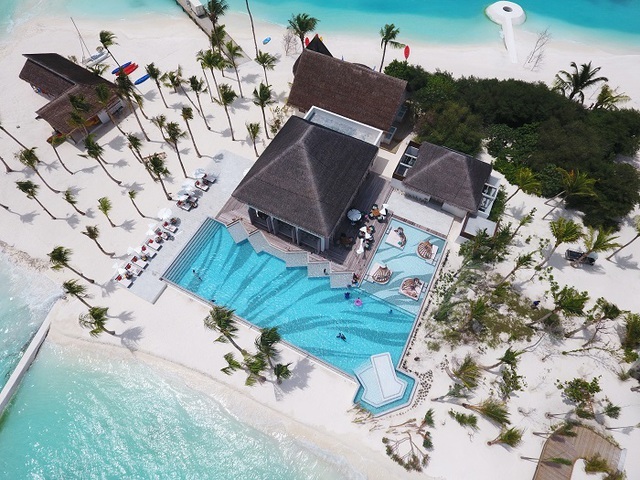 With a growing demand for 2 bedroom villas in the Maldives at anything approaching a reasonable price, the very large Earth Family Pool Suites are likely to be snapped up. So much for the hardware. What’s got everyone’s attention with OZEN is the ‘5 Star’ All Inclusive package. 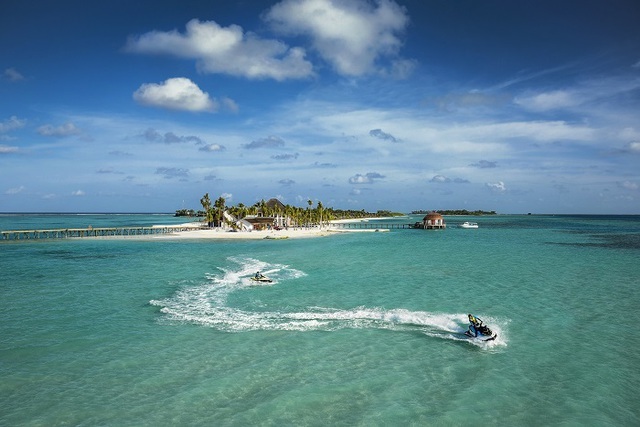 It wasn’t that long ago that All Inclusive in the Maldives meant an uninspiring buffet, obscure (usually dire) brands behind the bar and a choice between red or white wine with dinner. Some resorts haven’t improved much on this, and if you don’t fancy the Chateau Battery-Acid house wine then spending $50-a-bottle on something from the ‘premium’ list that’s regularly on offer in your local supermarket for £5 just makes you feel exploited. OZEN has genuinely set out to address this widespread sense of punter-mugging, and a browse through the drinks list should be enough to convince you that a great deal of thought has been put into the offering. The variety and quality of brands ‘on tap’ is unprecedented, from the collection of single malt whiskies to the different pouring Champagnes that have been selected for specific outlets. Fancy a glass of the delectable Cloudy Bay? Sauvignon Blanc, Chardonnay or Pinot Noir, you choose. Even more surprising is the quality of dining at OZEN. Our dinner at IndoCeylon was nothing short of spectacular. 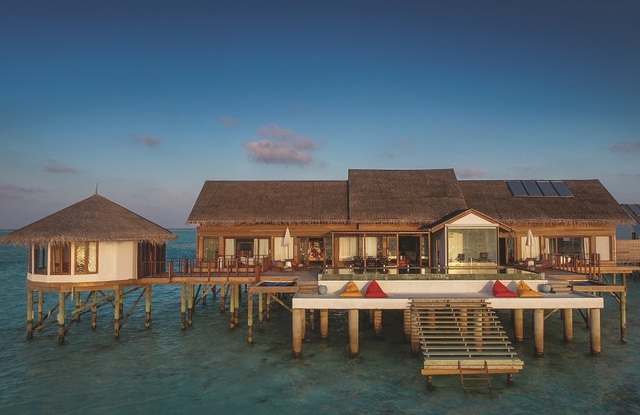 In our view, it’s the best Indian cuisine the Maldives has to offer, and at a level that would command top dollar in a swanky London restaurant. Raw, serving healthier lunchtime options at an outside stool bar, including delicious sushi & sashimi, looked to be highly popular. The underwater M6M is a real treat, with the 7 course degustation menu with wine flight only just eclipsed by the mesmerising array of marine life on display, coaxing gentle oohs & aahs from the clientele. 2 and a half hours literally whiz by and you’re very likely to find yourself chuckling over another glass of bubbles, each time you remember that this is all part of the ‘package’ and there’ll be no wince-inducing bill at the end of your meal. By the second or third day, it might be worth casting an eye over the schedule of free exercise classes. 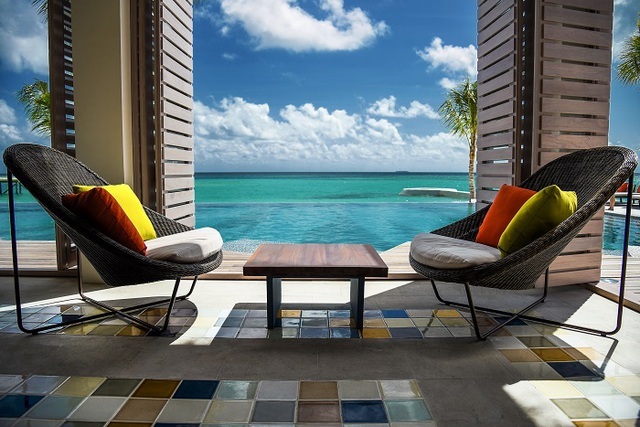 The only shortcoming from our perspective is the presence of just one main bar on the island. As nice as Joie De Vivre is, it’s modern and buzzy, and more Miami Beach than Maldives. 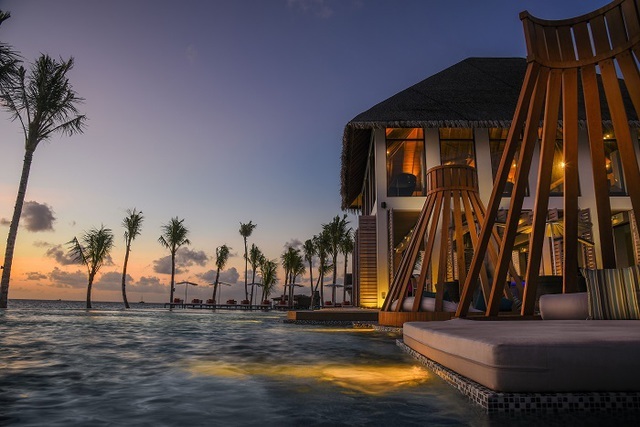 A second, more intimate chill-out bar on the beach would be a great addition, and the resort management assure us that options for this are currently under consideration. 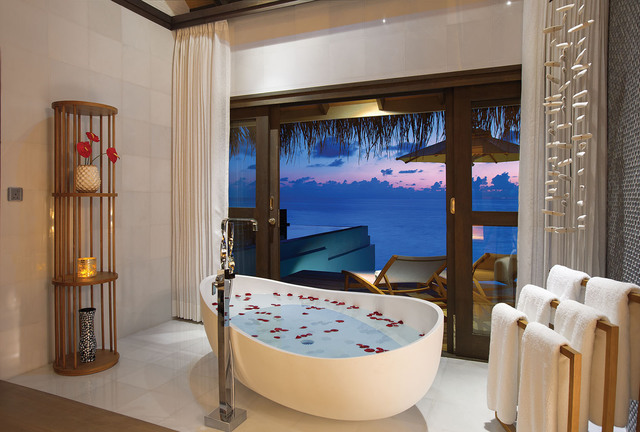 In the meantime, there’s always the option of lounging in your villa and dipping into the complimentary mini-bar, re-stocked twice daily. 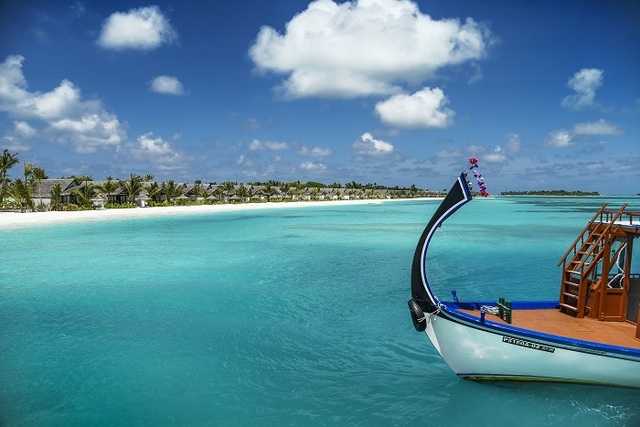 It may not appeal to those looking for the more rustic and traditional islands, but OZEN has set a new benchmark for All Inclusive luxury in the Maldives. 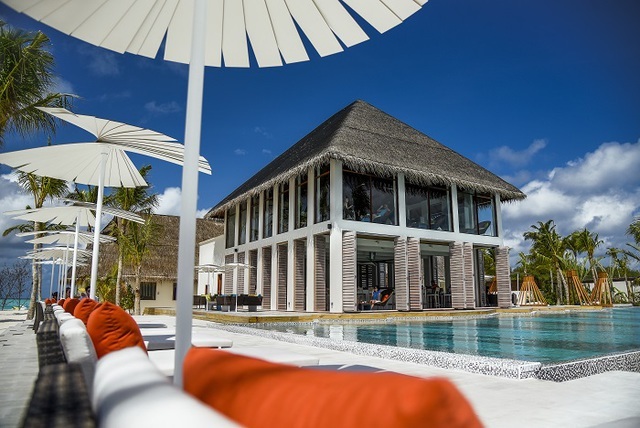 As long as the dining quality and service are maintained at the post-opening ‘honeymoon period’ levels, OZEN will fill its villas with ease and be sending ripples around the atolls, prompting some well-established resort brands to review their propositions. Free nights offer: 4=3, 7=5, 10=7 12=8, 14=10, 18=13. Valid for stays between 1 November and 23 December 2019. Combinable with other contractual offers. 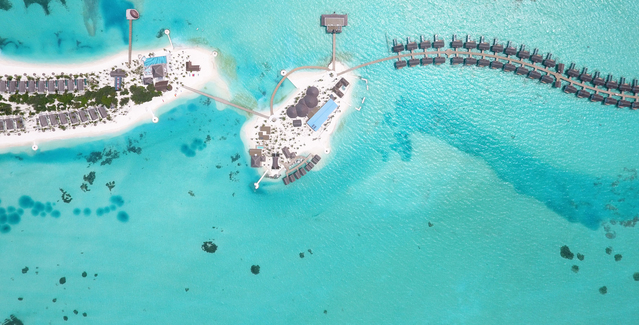 2020 High Season Free nights offer: 4=3, 8=6, 12=9, 16=12. 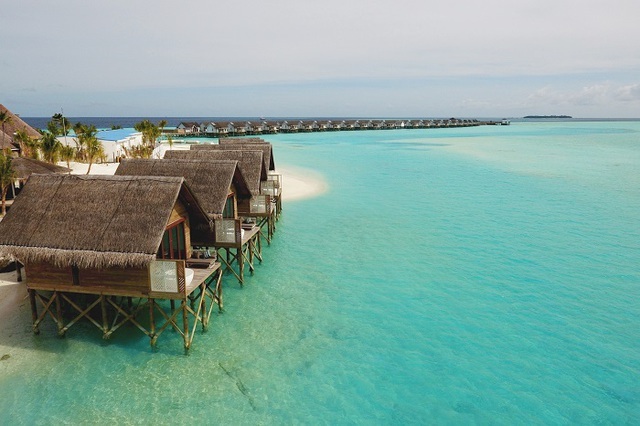 Valid for stays between 9 January and 30 April 2020. Combinable with other contractual offers. Free nights offer: 4=3, 7=5, 10=7 12=8, 14=10, 18=13. Valid for stays between 1 May and 31 October 2020. Combinable with other contractual offers. Children aged 5-14 years receive free accommodation on Atmosphere Indulgence meal plan, based on maximum villa occupancy in any villa type. Excludes 24/12/19 - 31/4/20. Combinable with other contractual offers. Receive 10% Early Bird Discount when booking at least 60 days in advance. Combinable with other eligible contractual offers. 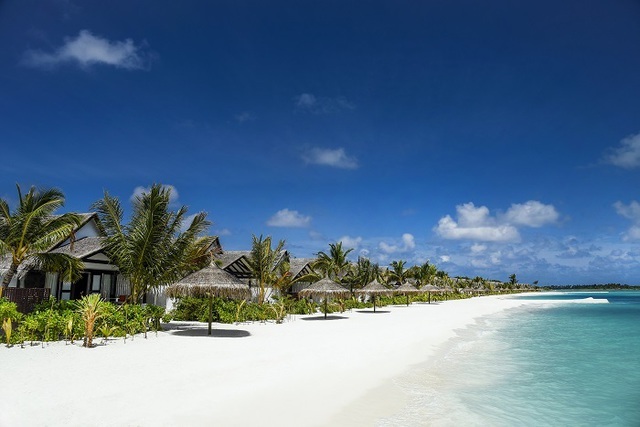 Receive 7% Early Bird Discount when booking at least 30 days in advance. Combinable with other contractual offers. Children aged 2-14 years receive free accommodation on Atmosphere Indulgence meal plan, based on maximum villa occupancy in any villa type. Excludes 24/12/18 - 28/4/19. Combinable with other contractual offers. A Single Parent travelling with a child aged 14yrs or under pays the Single room rate and the child stays free.Applicable to maximum occupancy in Earth/Wind Villa and Earth/Wind Villa with Pool. Transfer charges apply for the child. Combinable with other contractual offers. 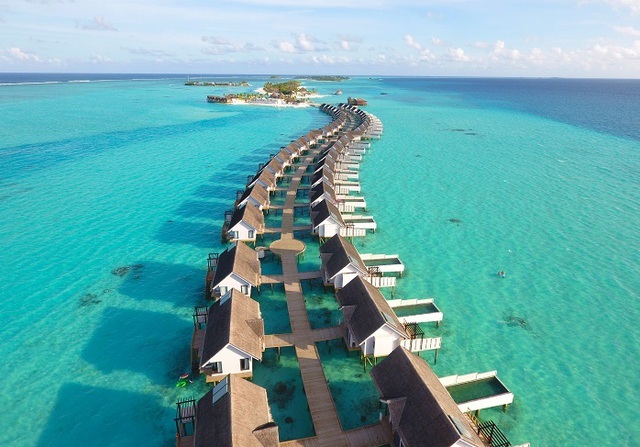 Amidst the exotic turquoise hues of South Male Atoll, Just 35 kms/19NM from Male International Airport, lies the tranquil island of Maadhoo, home to the Lifestyle Luxury Resort - OZEN by Atmosphere at Maadhoo, Maldives. The OZEN philosophy is “NO Shocks. NO Surprises. 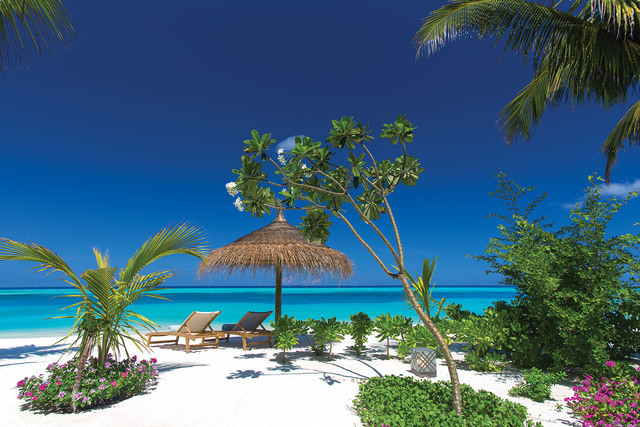 No Hidden Extras – JUST BLISS!” offering the discerning traveller a unique, All Inclusive, holiday plan - The Atmosphere Indulgence - where guests will experience the ultimate hassle-free, luxury lifestyle beach holiday in the Maldives. Malt Whiskies – 18+ as well as Award winning Wine labels included! See the Dining section for more details on the Atmosphere Indulgence.